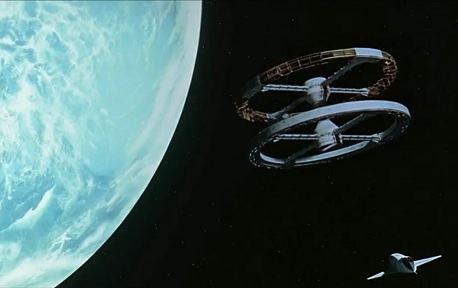 I was wrong about 2001: A Space Odyssey. I used to think it was severely overpraised, like a massive case of the emperor’s new clothes. But no longer. I grew up loving science fiction. I read several Arthur C. Clarke novels, as well as works by Ray Bradbury, Robin Cook, and Stephen King. 2001: A Space Odyssey is a fantastic novel. The film left me in a lurch, though. It was beautiful to look at, but that was it. I found it painful to sit through the long sequences of spaceships and astronauts moving through the void of space. I’ve never been the biggest Stanley Kubrick fan. I enjoyed Spartacus and The Shining, but most of his other films came across as strange for the sake of being strange. I prefer the serious tone of Fail-Safe over the dark comedy of Dr. Strangelove or How I Stopped Worrying and Learned to Love the Bomb. So I avoided 2001 for many years, thinking it wasn’t worth my time to revisit. But two things inspired me to give it a second chance and change my mind about it. I’ll explain what those two things were and what I now think of 2001: A Space Odyssey. First, let’s address my old feelings about the film. A few words come to mind. Boring. Tedious. Empty. Emotionless. It was a film with a brain but no heart, nothing to give it life. 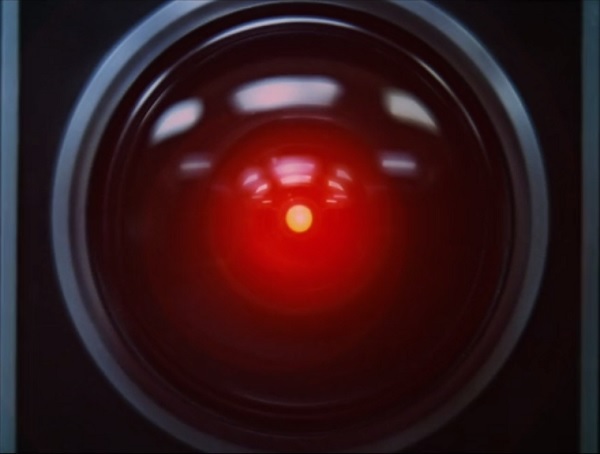 Like HAL-9000’s relationship to conscious entities, it was able to mimic a real film without actually being one. The only emotion it was capable of making me feel was a sense of foreboding. The eerie music that comes into play whenever someone approaches a Monolith makes those moments creepy as all get-out. But I found myself wanting to shout a big “So what?” by the end of the film. What was I supposed to feel, understand, or take away from this film? I had no answers, and I didn’t care to seek them, either. I couldn’t believe what I was hearing. I respect SF Debris and his video reviews. I love how well-versed and articulate he is, even when he’s cracking jokes. So I took his opinion on this matter very seriously. His statements made me rethink all of my preconceived notions about the film. Were the tedious special-effects shots actually intelligent pieces of storytelling? This question gnawed at me for a long time until I finally decided to give the film another shot and see if I had misjudged it. The opening scenes with the apes learning to harness tools in order to survive were just as I remembered them. They’re fine, taking their time to get to the point. But the first shots in space were much more interesting this time around. I took SF Debris’ words to heart and looked at them through new eyes. I enjoyed seeing all of the intriguing touches of how the scenes unfold. I especially like how the music crescendos as the spaceship approaches the rotating space station and begins to rotate at the same rate so that it looks like neither one is moving at all from the ship’s cockpit. Very clever stuff. But it wasn’t until the Jupiter Mission sequence that I finally fell in love with this film. When the “Gayane Ballet Suite” begins to play over the long, dialogue-free establishing shots of the Discovery spaceship and her crew, I thought I was hearing things. Listen to this hauntingly beautiful melody. This sounded so familiar I couldn’t believe my ears. One of my favorite movies of all time just so happens to be Aliens, and this musical composition from 2001 sounded almost identical to the opening music composed by James Horner for Aliens. Skip to the 1-minute mark to get to the part I’m talking about. This music from Aliens serves to set up the state of Ripley at the start of the film. She is living a tragic, isolated existence – and plenty of horrors await her. The music is filled with sorrow and longing for better times. The emotions that are inseparably connected with that music instantly transferred to 2001. Suddenly, I felt the inherent tragedy of the computer HAL, as well as astronauts Frank Poole, Dave Bowman, and the three doomed crewmen in hibernation. None of them would come out of this story alive. They would all die. I connected Dave with Ripley, struggling to survive at great odds, even after a malevolent force has killed all of his crewmates. I no longer saw 2001 as a film devoid of emotion, but a film full of sadness and memorable deaths. That might sound like a downer, but any film that is able to make me feel something as deep as that is great, in my book. To me, 2001 is all about how precious life is. The callous ways in which an ape takes the life of a rival ape, HAL kills Frank and the hibernating scientists, and Dave disconnects HAL are contrasted by the way the aliens humanely kill Dave at the end. He speeds through his life and finally dies quietly of old age in bed. But he’s reborn as a new type of life form, promising new life for mankind, if we’re willing to face our fear of death and keep pushing ourselves to be more than we thought we could be. 2001 is now inextricably intertwined with Aliens. I can’t help loving it. I’d like to thank SF Debris for giving me a reason to rewatch 2001 and James Horner for making me connect this film with greatness. Maybe I’ll have to give Dr. Strangelove another chance, as well. All images and videos are the copyright of their respective owners. This entry was posted in Movies That Improve and tagged 2001 a space odyssey, aliens, classical music, films, james horner, movie review, movies, music, science fiction, sf debris, soundtrack, stanley kubrick. Bookmark the permalink. I am so glad! It’s an awesome film. Yes, you should give Dr. Strangelove another chance. Peter Sellers is crazy-good. Yeah, I love this movie. Need to give Dr. Strangelove another try, too. Nice post!